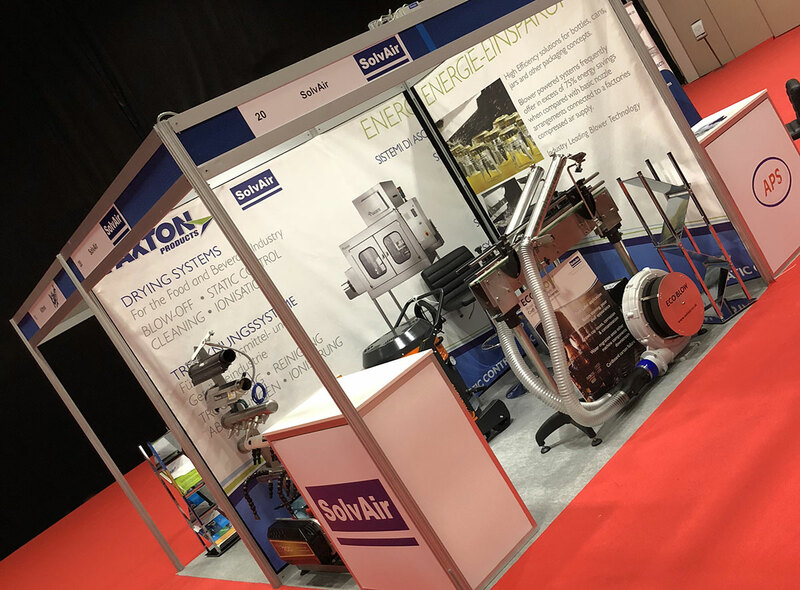 SolvAir were delighted to attend BevExpo 2018 in January at the Ricoh Arena, Coventry. This was our first time at BevExpo, a two day super-sized trade fair for the beverage industry, and we were really pleased to meet a wide range of visitors from start-ups through to multinational companies and to establish some great contacts. Our stand had the first ever demonstration of our new ECO-BLOW system, and feedback from our visitors was excellent. The SolvAir ECO-BLOW system is our new compact and economical drying solution for Craft brewing applications. It can work with existing setups making it a great add-on as well as a system in its own right. We were also really pleased to introduce our new range of Mobile & Fixed Vacuum cleaning systems. SolvAir is the UK Partner for Kiekens Products based in the Netherlands, and we had a great selection of products on show. For more information on the ECO-BLOW or any of our Vacuum cleaning systems please contact us. Please do also keep an eye on our website for details of our upcoming exhibitions.